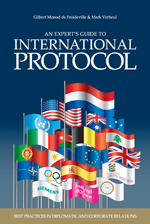 Coming soon: An Expert's Guide to International Protocol in 272 pages by Gilbert Monod de Froideville​ and Mark Verheul​, available from 20 April 2016. 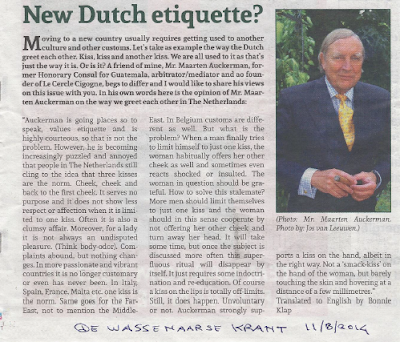 'An Expert's Guide to International Protocol' is a new book written by the former Master of Ceremonies of H.M. Queen Beatrix of the Netherlands, Gilbert Monod de Froideville and the head of protocol of the city of The Hague, Mark Verheul. This unique book describes the applications of protocol in several countries. In the book you will also find contributions by among others Dame Rosalyn Higgins and Jaap de Hoop Scheffer. The preface is written by H.R.H. Prince Carlos de Bourbon de Parme.